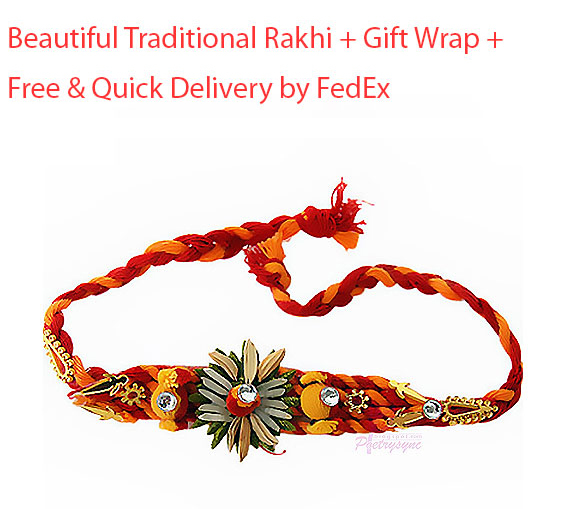 Rakhi with yummy white chocolates. 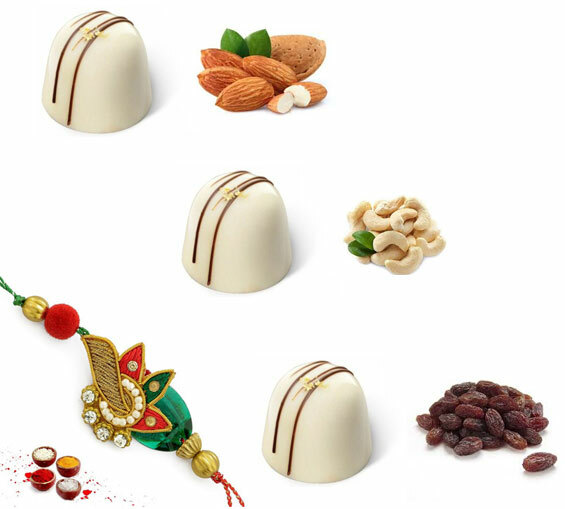 All these white chocolates are made with roasted almonds, roasted cashew nuts and seedless black raisins.White chocolate has amazing taste though it is different from typical chocolate but Indians loves white chocolate because it is similar to many milk sweets we have. This for your dear brothers who love you and white chocolates with dry fruits. About the quality: Every chocolate is handpicked and packed nicely and have the life span, taste and aroma up to 100 days. 2. 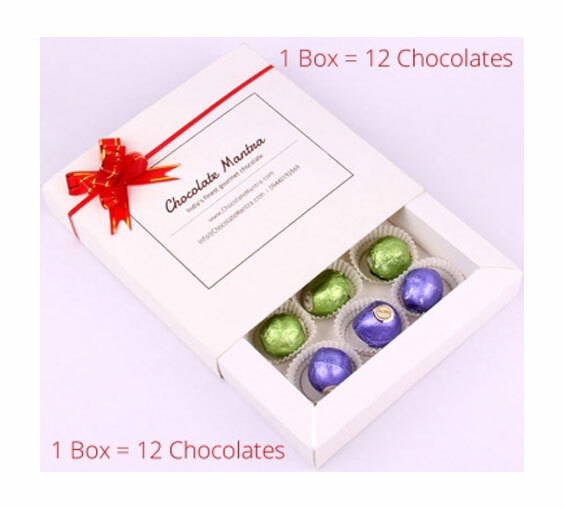 Once you receive our chocolate box, please keep the chocolates in the refrigerator for 30+ minutes before eating them. 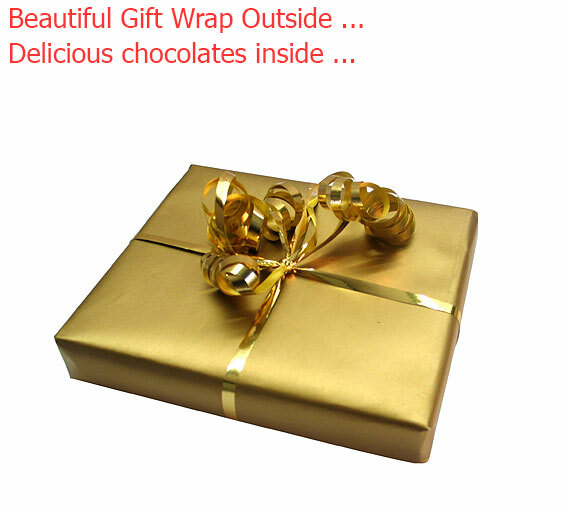 We suggest you to store our chocolate in cool and dry places to preserve the best aroma and taste of the chocolate.